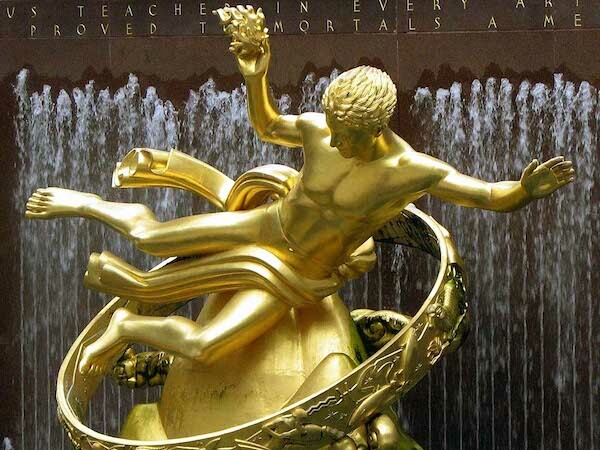 Photo: “Prometheus,” by Paul Manship, Rockefeller Center, New York. Weekly Hubris is always grateful for any monetary assistance you may provide to keep the magazine alive and continue publishing our devoted cadre of writers and artists. The magazine is an utterly independent, paper-less e-zine which has now, for almost eight years, provided a portal for a host of diverse, international contributors. It is funded solely by donations from readers, contributors, and Tim-the-Webmaster (Yes: in addition to providing content at no charge, we all contribute funds, time, and labor to keep Weekly Hubris up on the web). In addition to being our webmaster, Tim performs all the bookkeeping and accounting for Weekly Hubris, gratis. As the only paid-at-a-greatly-reduced-rate contributor, he also long-suffering-ly handles all donations and checks. Hey, he’s our resident Eagle Scout! So, please support us in this effort, and give whatever you can. I, myself, believe what we contribute is worth . . . your contributing, too. If you prefer donating using PayPal, please click on the “Donate” button below. Note: For handling of donations using PayPal, Weekly Hubris is “borrowing” the use of the PayPal account of MaxtonApp LLC which was created by our webmaster, Tim Bayer, who also wears the accounting and bookkeeping hat.